We arrived in Mykonos around lunch time and went for a ravenous search through the streets of Mykonos town for what we knew would be one of our last gyros. Today was a day of exploration, a swim, an evening drink at Little Venice, a look at the windmills, and we even checked out the local supermarket (one of my favourite things to do everywhere we go). First impressions were great, but the next day got even better. Exploring the streets of Mykonos Town and the first sight of Mykonos from the port. The day we hired a smart car. 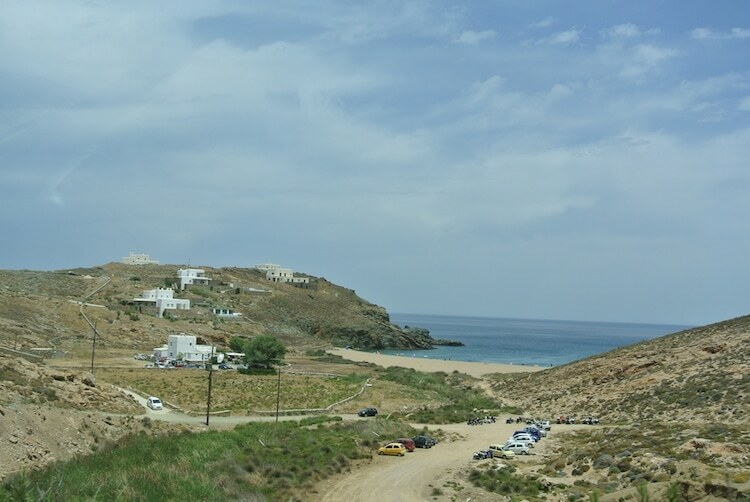 We decided it would be nice to get out of Mykonos Town and see more of the island. We hired a car, got a map and just started driving. 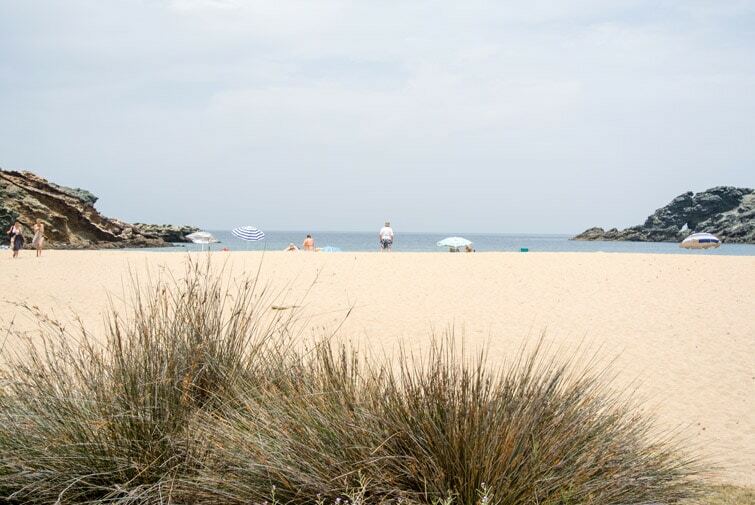 We went from beach to beach to beach, and we literally went “off the beaten track”. Who knew Mykonos had so many dirt roads, or maybe I should call them clearings? It was the best day, we felt like we were going four wheel driving in our little smart car. Hiring a car and driving around Mykonos to the beaches. Today was our last full day, so we spent most of the day in Mykonos town exploring, made a Greek salad for a lazy lunch at home. Later in the evening, we went to Cavo Paradiso at Paradise Beach. So that’s how we spent 3 days in Mykonos. Here’s a rundown of the pros and cons of our itinerary. 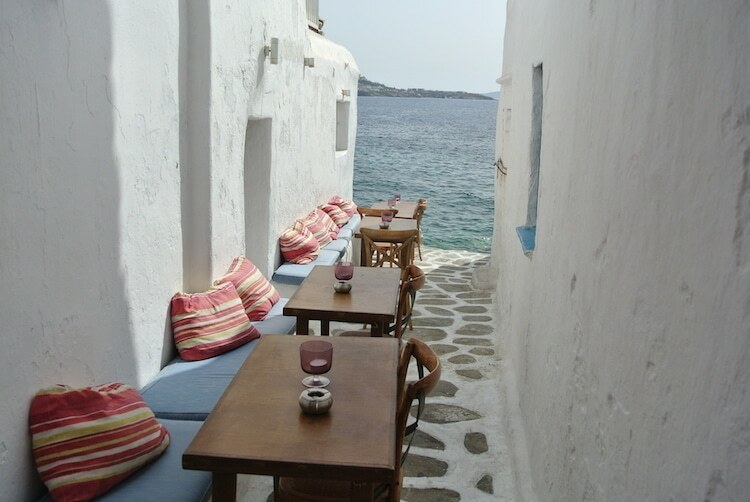 Staying in Mykonos Town (Chora). 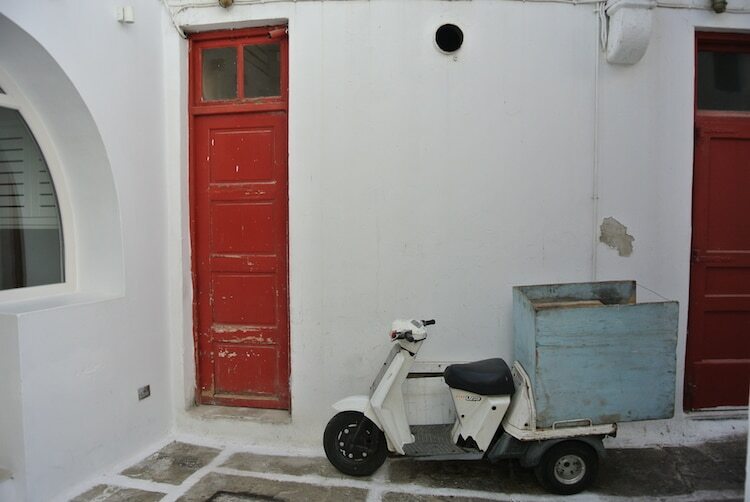 For our first time to Mykonos, staying in Mykonos town was a great choice, as it allowed us to see a lot in the few days we were there, and we had easy access to shops, restaurants, beaches and transport. However, I could see how on a return visit, it might be nice to stay somewhere other then Mykonos Town, and have more beach/relaxing days. Not a lot of time to relax. We had enough time to see lots of the island, and do a few different things. And we did have some downtime too. 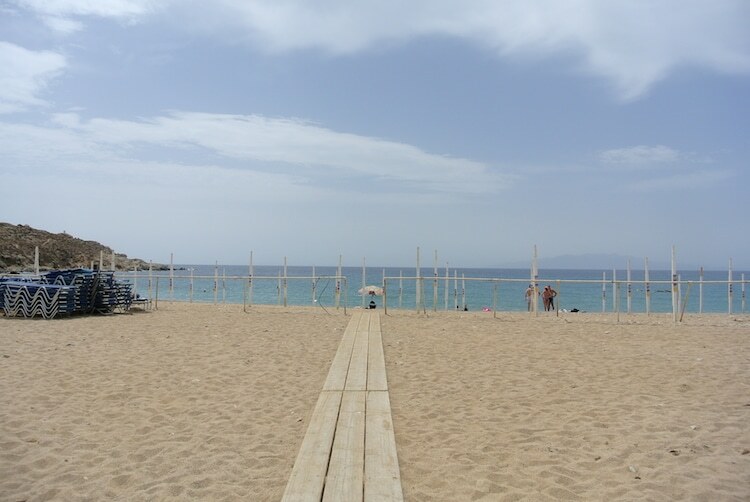 But if you want a few days to relax at the beach, 3 days in Mykonos was a little too short, a couple more days might be nice. Having said that, you might choose to have your relaxing days on a different island. 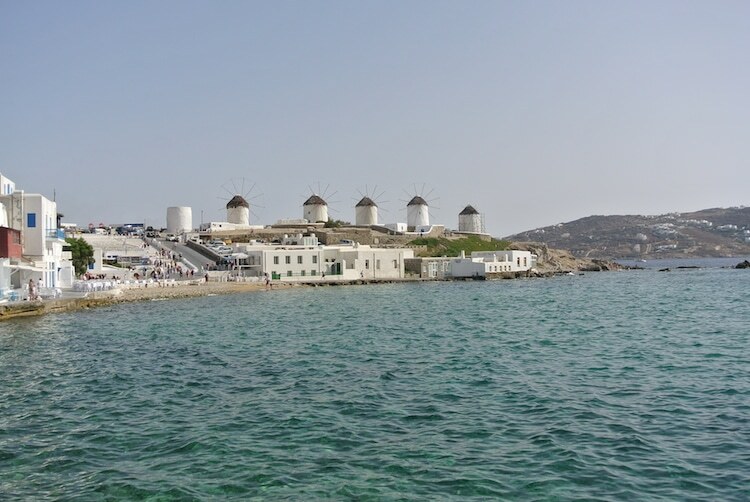 There are many more things to do in Mykonos, and there seems to be something for everyone.